Try one of these holistic, Natural Remedies to Help Cure a Stomach Ache, like apple cider vinegar, bananas, mint, fennel and ginger, before you reach for an over-the-counter medication for a more natural approach to easing a stomach ache. With parties, family get together’s, shopping trips and unavoidable stress, it is likely that you will experience a stomach ache this time of year. 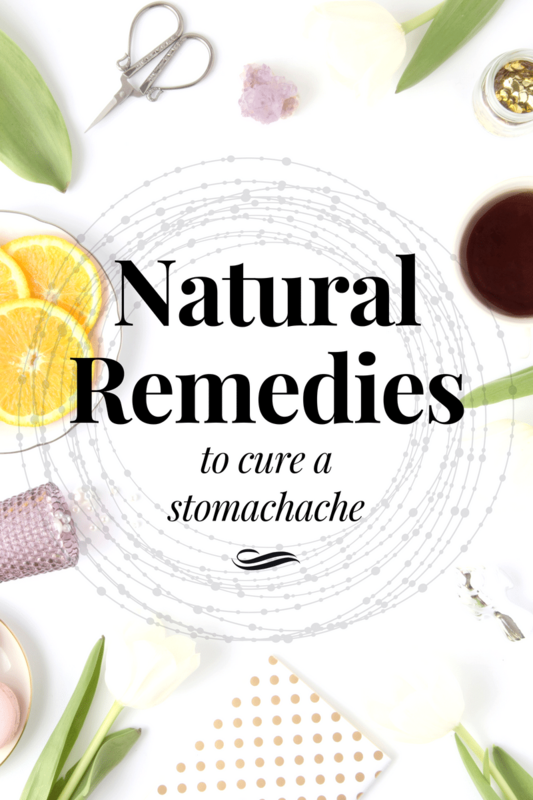 Before reaching for an over-the-counter medication, first consider a more holistic approach to solving your digestive problems with one of these natural stomach ache remedies. 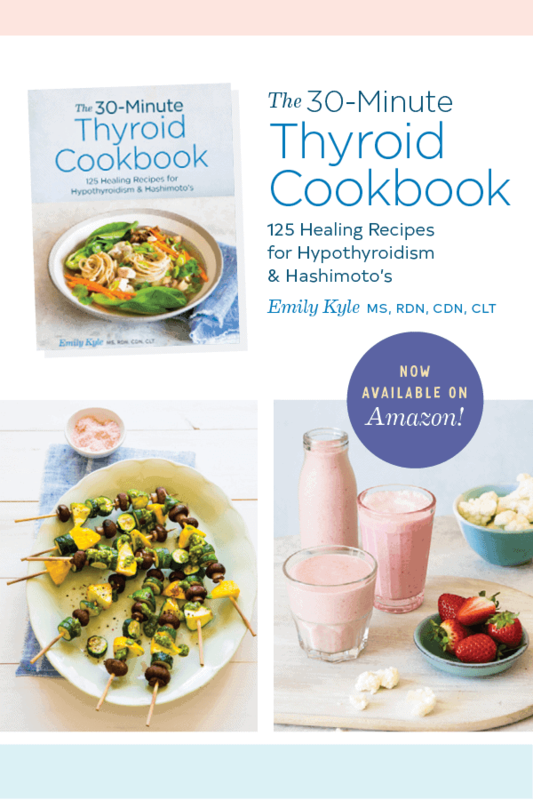 Food has been used as medicine for thousands of years and I see more and more people taking an interest in caring for their bodies in a more natural, intuitive and holistic way. Of course, this post is no way intended to replace medical advice if you need to be seen by a physician. However, if you are looking to improve your knowledge on functional nutrition, or how you can use the foods you may already have in your kitchen to cure common ailments, this is the post for you. When you become more in tune with your body, when you are better able to recognize what it is telling you it needs, you are better able to care for yourself in a loving and compassionate way. Food can often be the best medicine and has been used as such for thousands of years, but always make sure you are seeking medical care by a qualified health professional when needed. It is important to keep in mind that foods to help with a stomach ache must be easy to digest – think bland foods composed of simple carbohydrates. Protein and fat are more difficult to digest and may further contribute to your stomach ache or indigestion. Contrary to the popular belief that a stomach ache is caused by an over production of stomach acid, often times a stomach ache can be caused by a lack of stomach acid. Discomfort is caused because stomach acid is vital to the normal functioning of the digestive system. In order to combat the lack of stomach acid a shot of apple cider vinegar can be taken, which may offer stomach ache relief by allowing the stomach to return to normal levels of acidity. While there is no research to support the use of apple cider vinegar for a stomach ache, there is anecdotal reports that taking a shot of apple cider vinegar may help to relieve a stomach ache. While there is no evidence to support a daily recommended dosage for the use of apple cider vinegar for an upset stomach, the recommendations on the back of the product states to enjoy when taken up to 3 times daily – upon arising, mid-morning and mid-afternoon. 1 to 2 tsps Bragg Organic Vinegar in 8 oz glass Purified Water and (optional) to taste, 1 to 2 tsps Organic Honey, 100% Maple Syrup. Blackstrap Molasses or 4 drops herb Stevia. Bananas may be one of the most commonly known foods to ease a stomach ache, but you may not know that the more ripe the banana is, the easier it is for your body to digest. The easier the banana is to digest, the more soothing it can be on an upset stomach. Bananas are composed of simple carbohydrates which can easily be broken down by the digestive system. Bananas also have a low fiber content which means they are less binding than other fruit options. Bananas are high in potassium, a vital electrolyte, which is especially beneficial if you have been sick or unable to eat & drink normally for a prolonged period of time. One of my most favorite natural remedies to cure a stomach ache is mint. Both peppermint and spearmint have been used as a holistic stomach ache remedy for centuries. This herb works to soothe discomfort caused by indigestion and gas. Mint contains menthol which acts as a natural analgesic, meaning it has the ability to relieve pain naturally. Peppermint and spearmint teas can be especially calming when experiencing a stomach ache. Research has determined that peppermint oil may also have the ability to activate the anti-pain channel of the colon. You can purchase mint teas from your favorite store, or use fresh mint leaves to steep your own tea. Many people find mint essential oils to be helpful as well. If your stomach ache is caused by gas discomfort or bloating, fennel is the right natural stomach ache relief aid for you. Fennel contains anti-gas properties in the form of a compound known as anethole. Anethole stimulates the stomach to secrete digestive gastric juice and helps to reduce inflammation of the stomach, both of which can bring you stomach ache relief. Fennel has a very strong anise, or licorice, flavor to it. Fennel can be eaten in raw form, cooked in a dish, in the form of fennel oil, or through dried fennel seeds. Chewing on dry fennel seeds is thought to provide stomach ache relief caused by indigestion after a meal. You can also find prepared tea bags that contain fennel which will provide relief to an upset stomach. With use for its anti-nausea properties being traced back to ancient times, ginger may be one of the longest used natural stomach ache remedies. Ginger has the ability to help with both a stomach ache as well as nausea. But don’t reach for that ginger ale just yet. Ginger ale may not provide the same relief as fresh ginger because many commercially available ginger ale products contain little to no amounts of real ginger. One of the easiest ways to find relief from ginger can be in the form of ginger tea. Ginger tea can be purchased in the form of ginger tea bags, or you can finely grate your own ginger and add to boiling water. You are most welcome, I am so glad to hear that it helps! Thank you so much for these wonderful tips. I was advised to eat banana whenever my stomach aches. It really helps. So glad to hear that, thanks Lorie! Ginger tea has been a lifesaver for me! These are some great suggestions!! I’ll need to keep them all in mind! Such great tips! I love using ginger to aid my tummy troubles! I am the biggest baby when my stomach is off in any way and I want it cured QUICK. Keeping this list nearby for when I need it! Never heard of using fennel before to help with stomach pain! I will have to try it next time! You are most welcome, I hope you are feeling better now! Hey there! I would talk to your doctor or other health professional about taking probiotics or to determine if something else is wrong. Antibiotics can disrupt your gut microbiome and cause all sorts of issues! So sorry you’re not feeling well, wishing a speedy recovery for you! I am dealing with irritated stomach resulting from taking Keflex. Any suggestions to alleviate mild burning, gnawing and over active sensations that are helped by eating (soft/bland diet) and worsen on an empty stomach? Thanks.